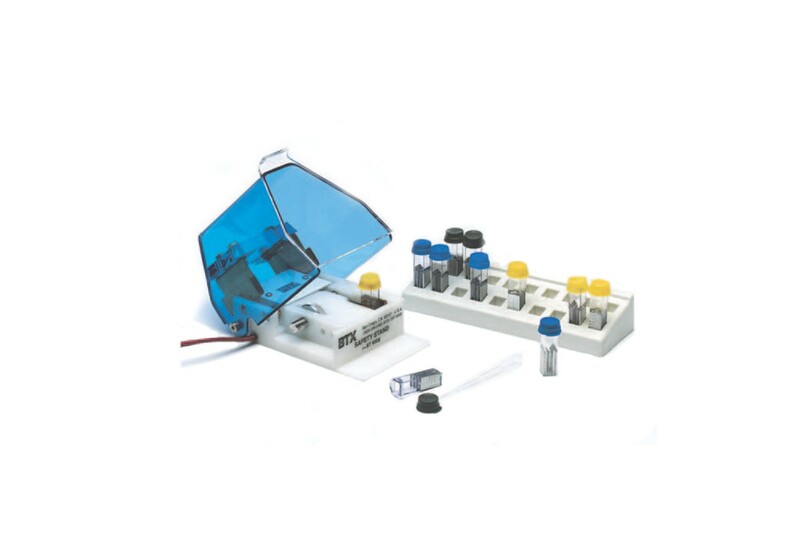 BTX Electroporation Cuvettes Plus are designed for use in electroporation and electrofusion of bacteria, yeast, insect, plant and mammalian cells. 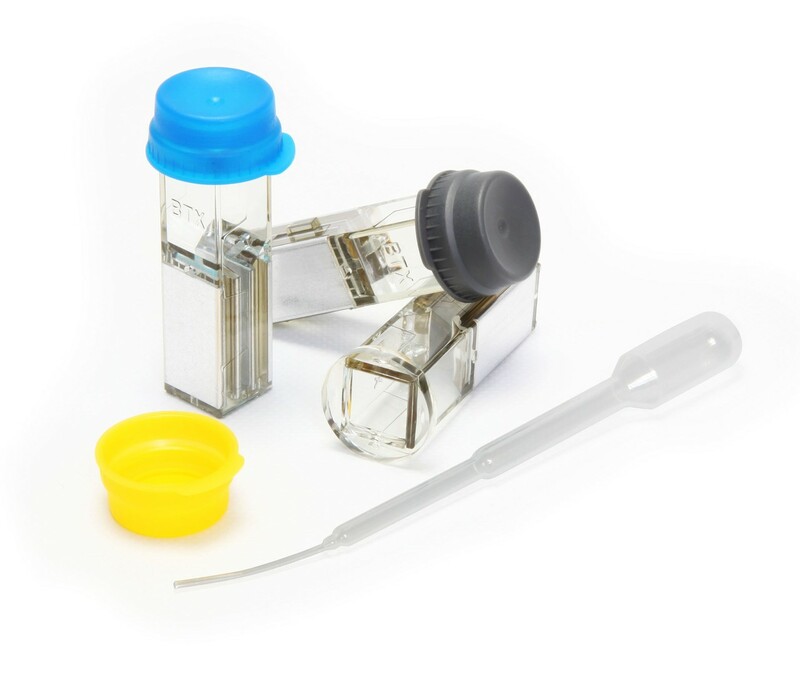 For 10- and 50- packs of BTX Electroporation Cuvettes Plus, Cuvettes Plus are individually wrapped in a package includes a disposable cuvette and a sterile transfer pipette, which allows for quick and easy removal of the sample after electroporation. For bulk packaged BTX Electroporation Cuvettes Plus, sterile Cuvettes Plus are packaged in 24 bags containing 100 cuvettes per bag without transfer pipettes. The cuvettes are molded with embedded polished aluminum electrodes, and gamma irradiated for guaranteed sterility. BTX cuvettes can obtain high field strengths up to 25.0 kV/cm. Three electrode gap sizes are available, 1 mm for bacteria and yeast, 2 mm for all cell types and 4 mm for mammalian cells. Round cuvette caps are leak resistant and allow for quick and easy one-finger removal. A 20-position cuvette rack is available separately. 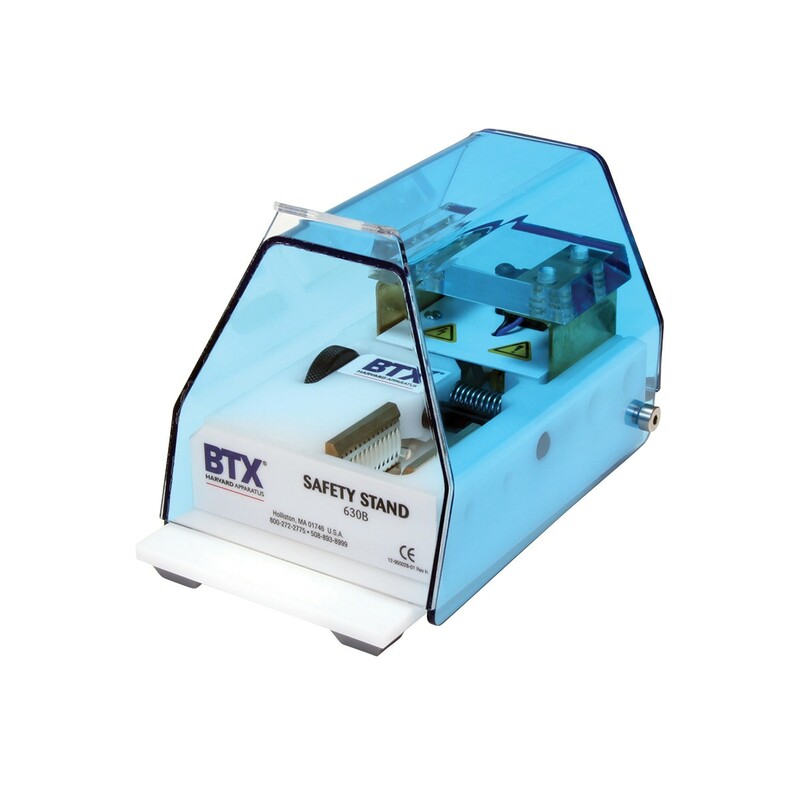 BTX disposable Cuvettes Plus require no maintenance. Simply discard carefully after use.